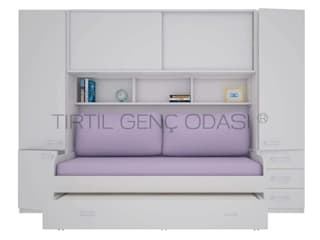 Children wish to have their personal room and personal furniture. This wish is quite normal and it is very important for their personality development but this wish may not always be possible. 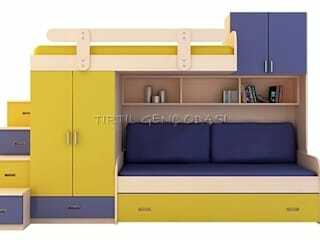 Sometimes the space is not enough and sometimes children may have to share their room with a sibling. In this case children do not feel like the room belongs to them. 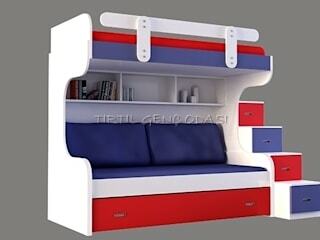 Both children and parents can get rid of this problem with right choices and modern furniture. 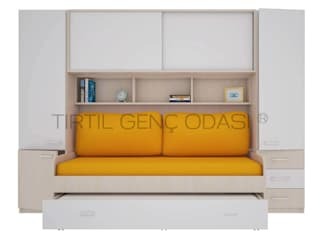 TIRTIL GENÇ ODASI creates a new trend with its innovative designs. Even sharing a room will not be a problem anymore. We consider everything, we think every detail and we design our products for efficient use. Every detail matters for us, we choose strong and secure materials in our designs. We do not use stereotyped standard production in our products; on the contrary, with the individual item selection we help you to create the room in your dreams. 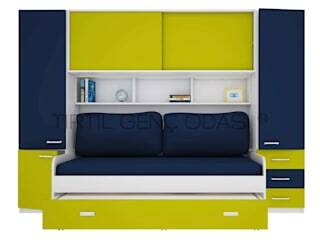 We have got furniture for boys, for girls, for different ages with rich color options and numerous alternatives, we would be happy to present our products to you.